Ooh, I hope you're enjoying Watcher in the Woods! I think it's my second favorite Rockton book after the first one. Every time I see the title Watcher in the Woods, I think of an old movie I saw as a child. It has no connection to Armstrong but they share a title. I hope you are enjoying the book. I like her work quite a bit. Killing November sounds like a Lit of fun. I hope you enjoy it when you read it, Greg! Oh I love the look of both Killing November and Watcher in the Woods! They're both my kind of reads. Great picks! I just read a really positive review of Watcher in the Woods so I'll be interested to see what you think of it. Hope you're enjoying it! Nice! Been hearing a lot of buzz over this one! Ooh Watcher in the Woods! Just got my copy of that but have no clue when I will be able to read it! Hope you're enjoying it! I hope to read Killing November. 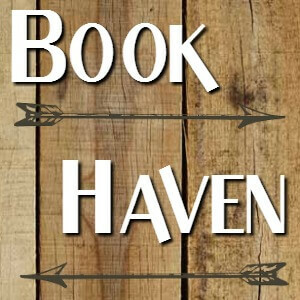 I enjoyed the How to Hang a Witch books, and love the premise of Mather's new book. Killing November definitely has me interested with that cover! Oooh! I love the cover to Killing November! Great pick! Killing November looks like it could be a lot of fun! It sounds a bit like the "assassin training school" type books but without the fantasy, so that could be really interesting. I'm jealous you're reading Watcher in the Woods already, Greg. 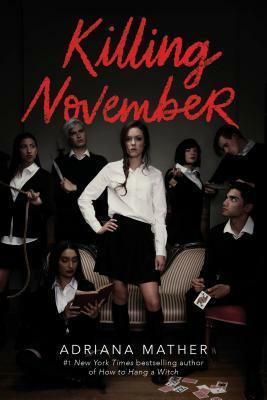 I like the cover of Killing November. Enjoy your books. That cover for Killing November 😱 Hope you enjoy it! I keep seeing Riverdale every where. I'm going to have to break down and watch it, aren't I? Killing November looks awesome! Thanks for sharing it. And Riverdale!!! I LOVE that show!!! One of my absolute favorites. Can't go wrong with Jughead! Here's what I'm waiting on if you'd like to stop by! I'm also a blog follower. I really want to read Killing November. I'm actually managing to stay current on Riverdale and it's actually picking back up for me. I loved this week's twist. It's hard to tell who all the bad guys are in that show. Of course, secretly I watch it for Jughead and Cheryl Blossom - something about her evilness is so fun. 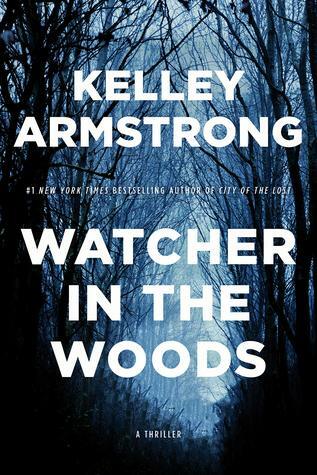 Kelley Armstrong is an author I've been meaning to read for years but have never managed it. I love the look of this one! I'm curious to hear how Watcher in the Woods is! My hold for Watcher in the Woods just came in and I am so excited! It is on my list of things to do tomorrow, pick it up from the library! Are you loving it? That's an interesting cover on Killing November! Killing November is one I'm really excited for too. It sounds so good. Watcher in the Woods sounds good too. I hope you're enjoying it. i am so super excited for killing november. I hope it lives up to its hype. I love that you add other things to you meme like what you are listening to. Thanks your making my music wish list grow too. Great post and great CWW pick I have not have heard or seen Killing November book until now and it looks really amazing as well. 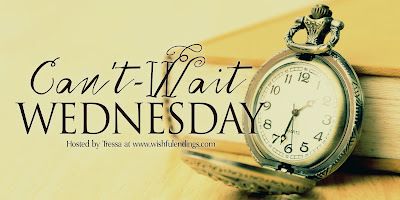 Thank you so much for stopping by my CWW post. I am definitely going to have to check this one out.